One of the most iconic science fiction movies of all-time, this groundbreaking classic showcases Hollywood magic at its best. When scientists exploring the Amazon River stumble upon a 'missing link' connecting humans and fish, they plan to capture it for later study. The creature has plans of his own, however, inspired by the lead scientist's (Richard Carlson) beautiful fiancée (Julie Adams). 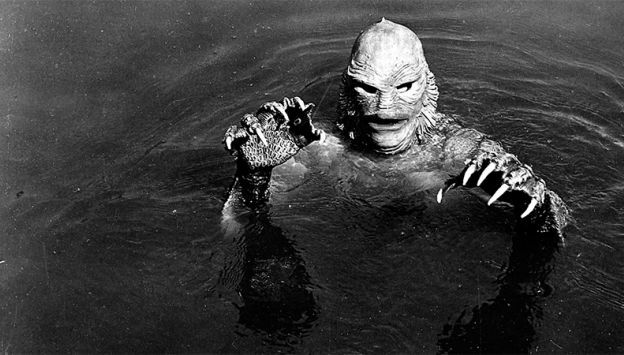 Well-acted and directed, and with Bud Westmore's brilliantly designed monster, CREATURE FROM THE BLACK LAGOON remains a masterpiece not only of the genre, but of all time.